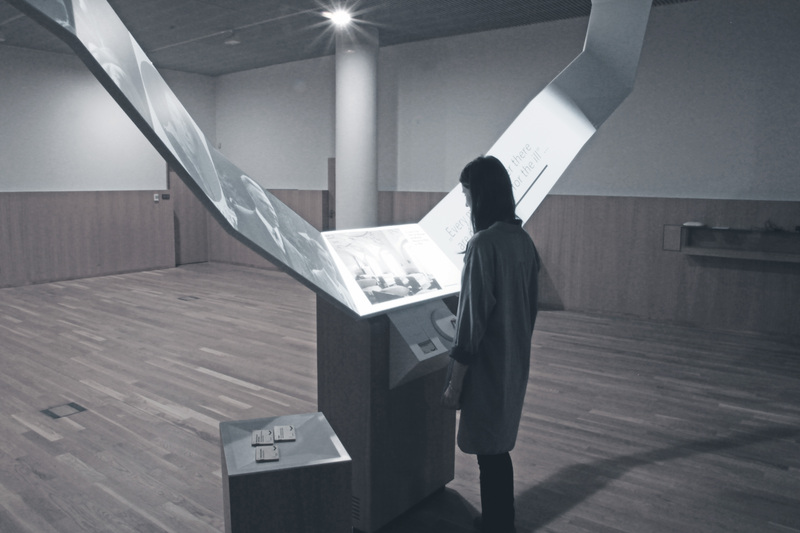 Tangible storytelling display offers a new way to experience history at Jewish Museum. Macrofilm is a simple-smooth interface designed to display information quickly and beautifully, while circumventing the oversaturated use of touchscreens we’ve seen in the past decade. 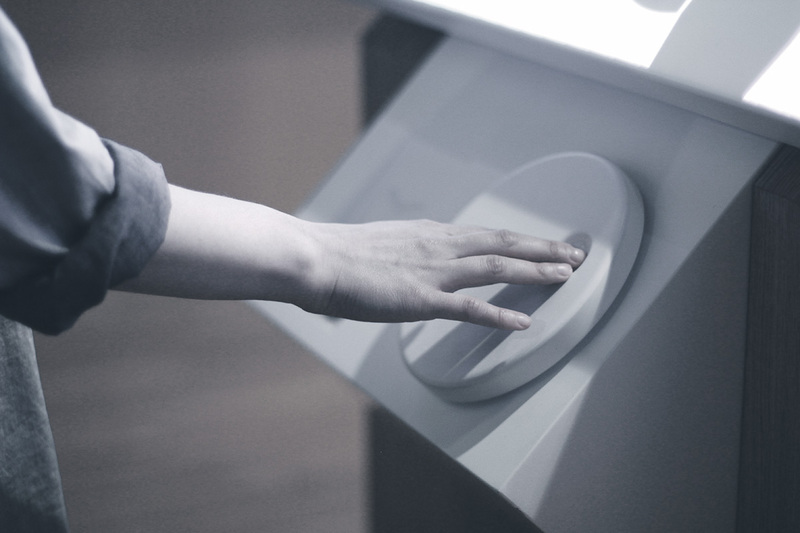 The display is controlled by a large, forcefully tangible scroll wheel, which propels facts, images, and stories across the screen. 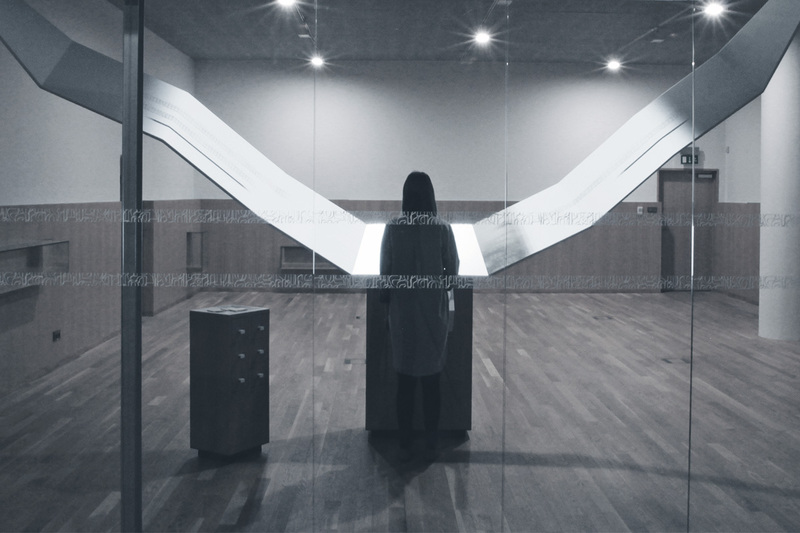 The screen is a film-like ribbon, about 9m long, which arcs upward to the left and right of the scroll wheel. As you scroll, the image on each frame changes, telling complex, compelling stories with a minimalist aesthetic. 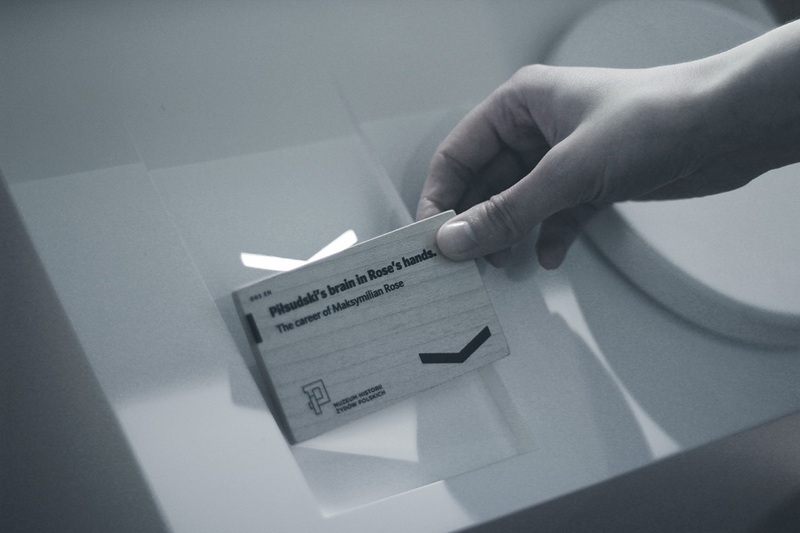 panGenerator intentionally created hefty RFID cards to organize the museum’s stories. 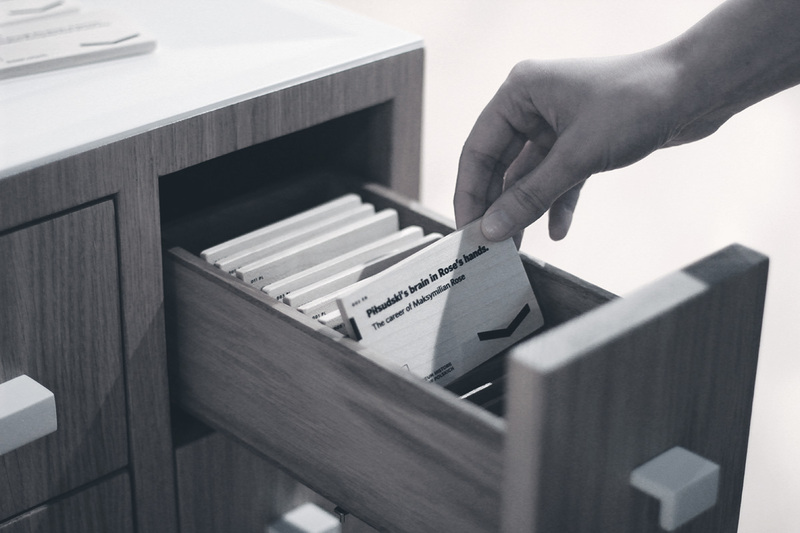 The cards slip right into an indentation on the Macrofilm display panel. The brain of the installation is powered by openFramework software, which reads the RFID cards, projects the appropriate information onto the display using three WUXGA projectors, then communicates between the display and the Arduino-based scroll wheel to ensure the beautiful storytelling works seamlessly.